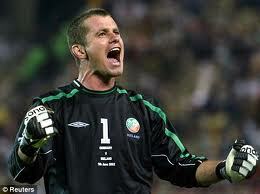 Shay Given’s father has revealed his son gives all his payments for playing for the Republic of Ireland to charity. Lifford man Seamus Given says his son, 35, has donated all the cash form his 120 caps to others less-well-off. “Shay gives it all away to charity. It’s not hard to give up because it’s not a lot. “It was about (the equivalent to) €300 when he started out and it hasn’t gone up much since. “It’s not something Shay’s interested in. He only wants to play,” said Seamus. One of Shay’s biggest career moments came on Tuesday night when he helped the Boys In Green qualify for the European Championships in Poland and the Ukraine next summer. Shay’s son Shayne, 7, was the proud mascot for the game.